In a large bowl combine the flour, baking powder, and salt. Mix well. Mix the remaining ingredients into the flour mixture. Grease muffin tins and fill each cup about two-thirds full. Bake for approximately 20 minutes until muffins are golden brown. 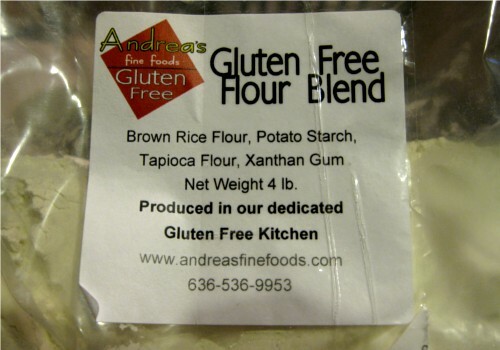 *Please note Andrea’s Mix contains xanthan gum so no extra binder was included in the recipe. I measured the honey and molasses at the same time. Out of the total half cup, I’d say about 1/8 was molasses and the rest was honey. 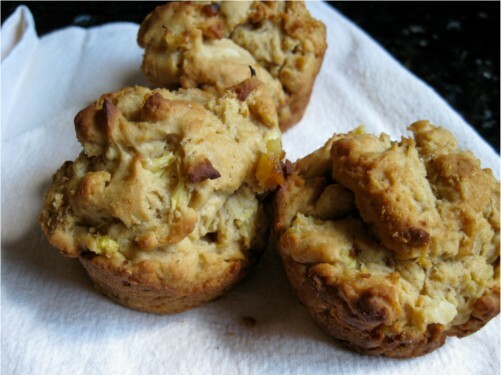 Andrea’s Mix uses superfine brown rice flour so these muffins were nice and light. Looking for More Gluten-Free Vegetarian Recipes? 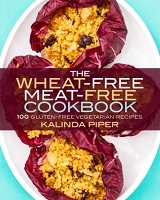 Take a look at my book, The Wheat-Free Meat-Free Cookbook: 100 Gluten-Free Vegetarian Recipes. Desserts: Blueberry Mango Crisp, Baklava Rolls, Amaretto Cake. You can see the full recipe list on the Amazon page. Great blog Kalinda – I work with your mom and she was talking about your blog today!! is that kathryn helling from memphis who used to live in halls, tn? You can have my recipes and recipe roundups delivered right to your inbox. All I need to know is where to send them. Disclaimer 1: Many of the links on this site are affiliate links. That means that if you click through from my link and buy the linked-to product, or sign up for the linked-to service, I receive a commission. Disclaimer 2: I am not a medical professional, and the information contained on this site is not medical advice. It is your responsibility to check the foods you eat to make sure that they are safe for you. If you're considering any dietary changes, it's probably a good idea to speak with your physician. By using this site, you explicitly agree not to hold Pickled Publishing LLC or any of its members liable in any way for damages arising from decisions you make based on the information made available on this site.